Following a debut at the Paris Motor Show in September 2018, the first deliveries of Audi’s SQ2 hot SUV are due to happen this month. 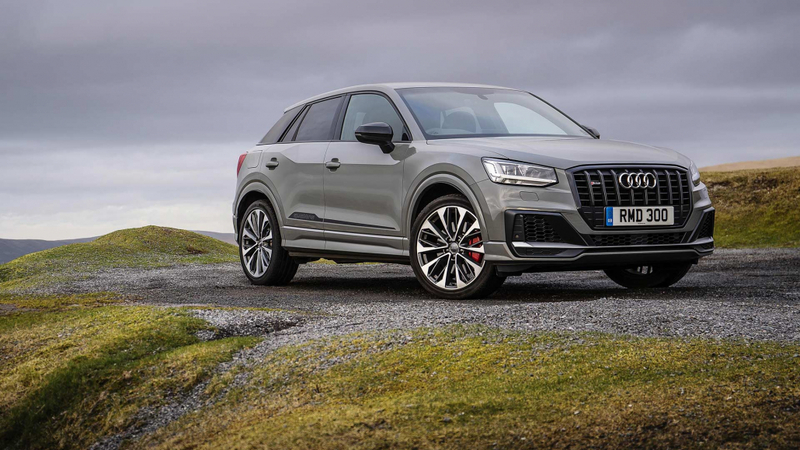 Audi promises that the SQ2 brings a combination of ‘thrilling performance’ and ‘discreet styling’ enhancements, adding a new entry to the growing market of quick SUVs. If the recent Geneva Motor Show proved anything, the £36,800 SQ2 will not be short on rivals, including in-house competition from the forthcoming Volkswagen T-Roc R.
With the regular Q2 already distinctively styled, moving to full S trim means only a subtle makeover. However, the front bumper is all-new, featuring a wide splitter and a special grille wearing the SQ2 badge. Four exhaust tailpipes hide beneath a new silver diffuser, whilst the rear spoiler is also larger. The distinctive C-pillar trim receives a special matt titanium grey finish. A set of 18-inch alloy wheels are standard, with an array of larger 19-inch rims on offer as well. 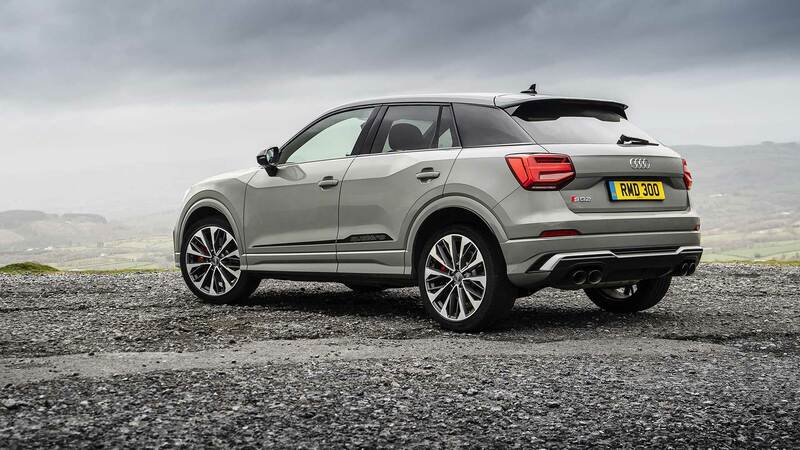 Various styling packages can also be added, including a £1,500 ‘SQ2 Exterior Pack’ which adds armfuls of gloss black trim to the outside. The mechanical formula is likely to be familiar to fans of performance Volkswagen Group cars. 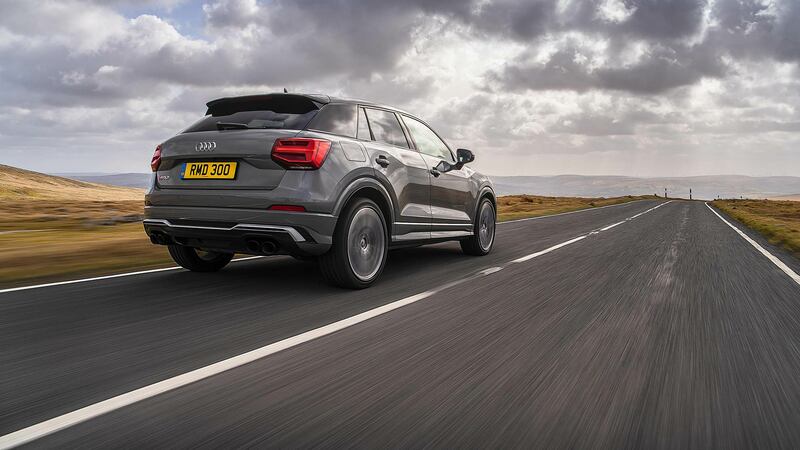 Using the omnipresent MQB platform, like any good Audi ‘S car’ the SQ2 features quattro all-wheel drive. Power comes from the 2.0-litre turbocharged petrol engine, as seen in the Volkswagen Golf R, Audi S3, and Seat Ateca Cupra. 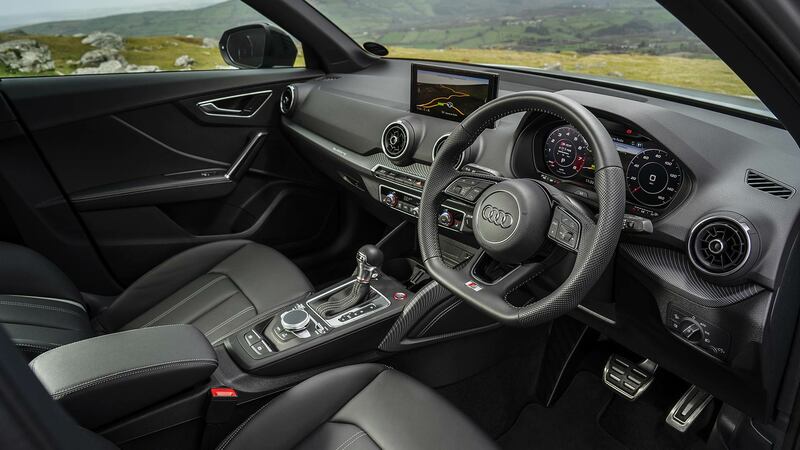 A seven-speed S tronic dual-clutch gearbox is fitted as standard, with paddles mounted on the flat-bottomed steering wheel. An output of 300hp and 295lb-ft of torque, combined with a relatively compact body, make the SQ2 a genuine force to be reckoned with. The 0-62mph sprint takes just 4.8 seconds, with top speed limited to 155mph. Sports seats in leather and Alcantara are standard, along with dual-zone climate control, satellite navigation, cruise control, and rear parking sensors. Spend £900 on the ‘SQ2 Interior Pack’ and you’ll gain full Nappa leather seats with diamond stitching, LED interior lighting, and special red rings for the dashboard air vents. With Audi dealerships now accepting orders, those wanting to run riot with the options list can starting playing with the online configurator with glee.